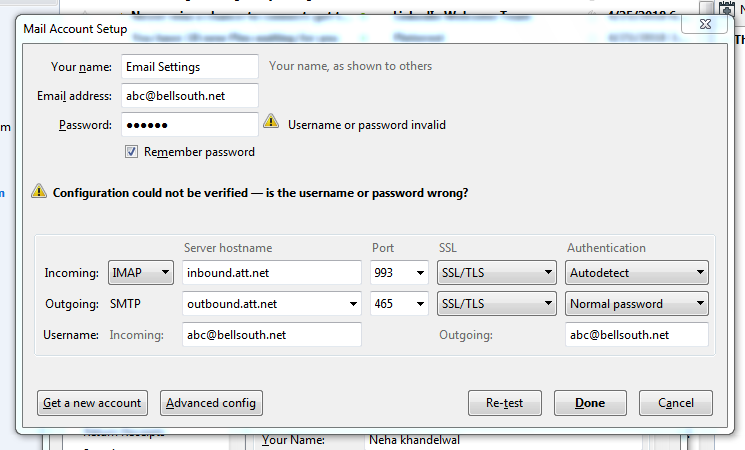 I have been using Nis 2011 since it was in beta and have been using Thunderbird 3.1 beta the whole time. Just starting today NIS has started to stop all incoming and outgoing email through thunderbird. I can get my email through web mail but it is just to slow and I like using Tunderbird. I am using win 7 ultimate with NIS 2011 and Thunderbird 3.1. If anyone has an answer please let me know. 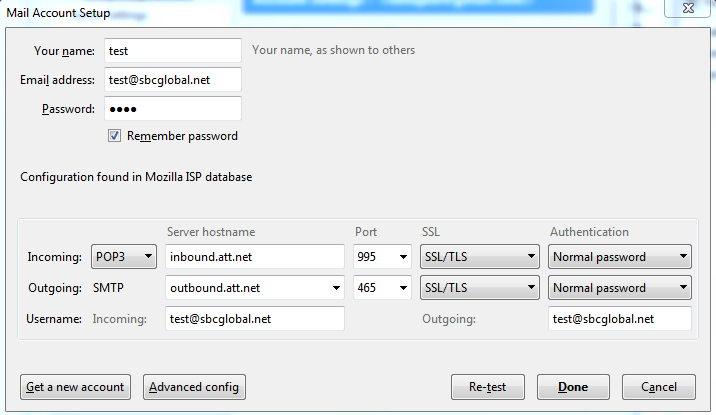 I have been using Nis 2011 since it was in beta and have been using Thunderbird 3.1 beta the whole time. 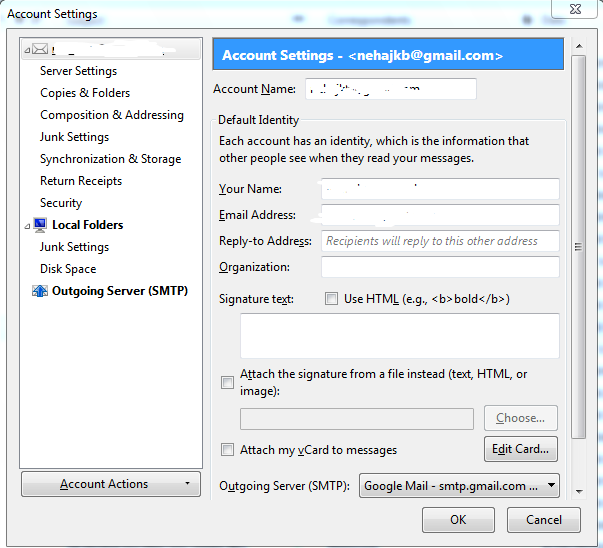 Just starting today NIS has started to stop all incoming and outgoing email through thunderbird. What are the indications that NIS is actively blocking your email program? What notifications and alerts are you seeing and what do they say? Thanks for the screenshot, but it does not tell us what you are actually seeing when mail delivery fails. If you can be more specific about what happens when you try to send or receive mail it might help to define the issue. When I click on the get mail button Thunderbird tells me that the connection has been refused from Road runner. 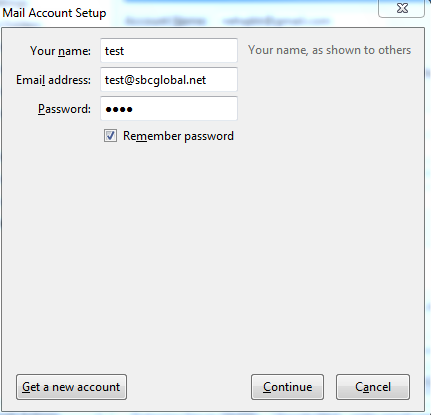 Than once I turn off the email protection in NIS I will be able to receive and send email. This is all it tells me. I have already been to Road Runner and Mozilla and both say it is with Nortons and not them. I have been over and over all the config stuff with both of them. Not too sure what else I can tell you at this time. And before you ask it is not Windows either. I have also updated every thing and ran two full systems scans and One system restore. Nothing works except to turn off NIS which is kind of stupid because that was one of the reasons I bought NIS to start with. Thanks just the same. This may be an issue with the ports that are being used. 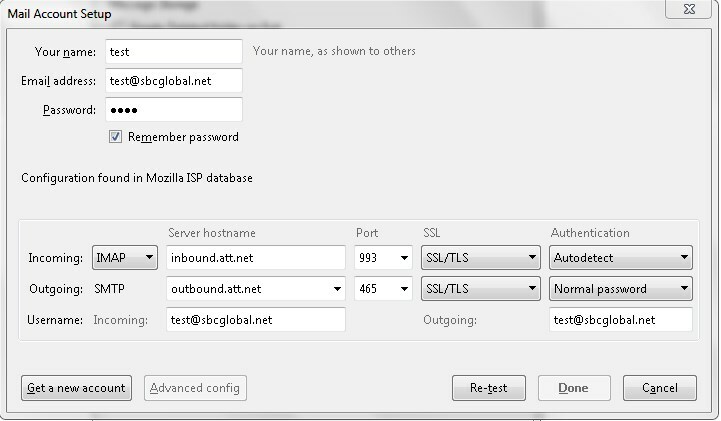 Please go to Account Settings in Thunderbird and let us know what ports are shown for Server Settings (POP Mail Server) and also for Outgoing Server (SMTP). Have you gotten any notification from Road Runner about them blocking port 25? Is this problem something new that just started happening out of the blue? Norton can only scan ports 110 and port 25. If you are required to use other ports, you will need to disable Norton Email Scanning. Doing so would not pose any security risk, as all incoming attachments are scanned by Auto-Protect when they are opened, and outgoing message scanning is for the benefit of your recipients only. Email scanning is an added layer of functionality that is carried over from earlier times – it is no longer an essential feature and you will be no less safe if you need to disable it. 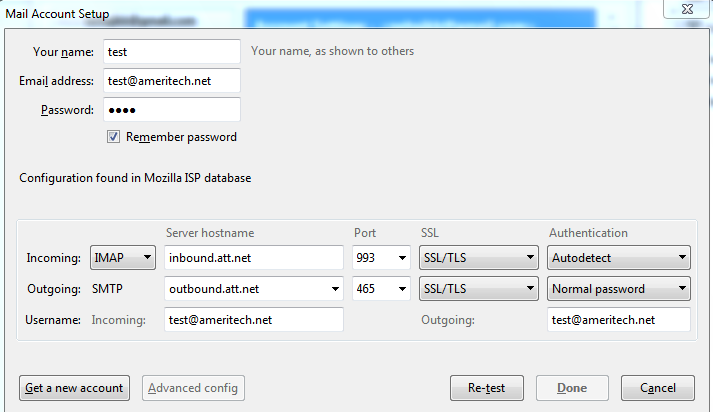 Thunderbird is using ports 110 and 25. I can’t believe you said that about the email scanning. If it’s not needed why do you keep it than? Thanks for all of your help. I can’t believe you said that about the email scanning. If it’s not needed why do you keep it than? It’s a carry-over from the past. It’s useful sometimes, but no longer essential. 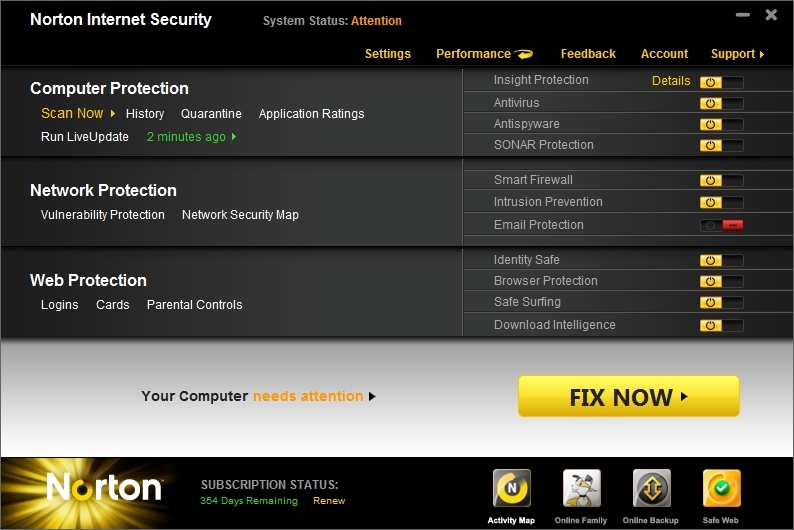 Norton email scanning should work fine with those ports, so something else must be going on. What is the full version number of Thunderbird you are using? You said 3.1 Beta. I hope that was a typo, as the full release version has been available for quite some time and is now at version 3.1.6.If you are using the Beta release, you should uninstall it completely and install 3.1.6. It is the 3.1.6 Version and not the beta. The only thing I have not tried yet is to reinstall NIS. Will work on that later when I have the time. Thanks. Have you gone in to program control and made sure to add Thunderbird as allowed. The .exe that was allowed before may not be valid any more. I don’t know what else would have changed. NIS2011 and Thunderbird with 3.1.6 work together without issue on my machine. I have email scanning on and antispam turned off. Windows 10 Ultimate 64-bit, Mozilla Thunderbird Problem in Windows 10. When i try to delete a message on Mozilla Thunderbird e-mail client it does not delete it. Hello, can we have some more information please. When i try to delete a message on Mozilla Thunderbird e-mail client it does not delete it. I have the latest version of firefox and i’m using latest Mozilla Thunderbird e-mail client. What happens when you click “delete” in Thunderbird? Nothing happens. The message is not go away and not transferred to the trash folder. Thunderbird email service is a great way to communicate in a business but like all Email service providers, this email service provider is also susceptible to spams, junk mail viruses and phishing. Some people are ignorant about it and some don’t even know about it, but one has to understand that this is important communication and confidential client information. We have certified technicians on call, so whoever you talk to, knows the in and outs of the app and also with Thunderbird emails. 99% First Call Resolution, we have been able to make our customers happy and satisfied, we resolve any issue as fast as possible and that too in the first call, putting smiles on our customer’s faces. Zero downtime for your PC, even when our technicians see and fix your problem you don’t have to shut it down or anything else, It keeps working always. We offer the best market price so that you always get the value for your money. We also give PC tune ups and configuration software. Because we have technicians on call. We resolve 99% of the issues the first time around. We offer best market price. We give 24*7 365 days support. Phone/ remote support is also provided.